Managing cash flow is a top priority for many of our clients so we thought we’d share some tips that put you in control of your cash, and not the other way around. First you want to get your invoicing right. Get into the habit of sending invoices out quickly. Managing cash flow is only as good as your accounts and reporting. Ensure that your books are updated regularly so that you can see the financial state of your business at a glance. Be direct and fair to your clients without being a pushover. A clever but polite invoicing strategy will get you a long way. However, don’t be afraid to take more formal action if it comes to it. Keep a close watch on your accounts receivable turnover at all times. If it’s trending up, it might be time to step up your efforts chasing payments. As receivables age, their quality goes down, so it is always better to act sooner rather than later. If you’re not confident with numbers, hire a professional bookkeeper or accountant. At all costs use quality accounting software, so you can be confident of your cash position and can make informed decisions at all times. For example, maybe you’re expecting a big order next month. How will you know if you’ll have the working capital needed to expand payroll? Or be able to buy the necessary inventory? Many small business owners get caught out when a large opportunity turns up. They are unable to take advantage of it due to a lack of cash. Don’t let that happen to your business. What’s more, a reliable accounting system will help you track and report on key business metrics. These include accounts receivables ageing, operating margins and inventory turnover. Having a good handle on these business metrics will help you manage your cash like a pro – and take advantage of new opportunities. 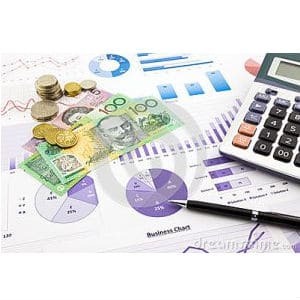 This is essential if you want to manage cash flow and forecast how it might change. Mixing your business and personal finances can leave you uncertain about business performance. So keep them separate. That way you’ll know how much cash your company is generating. Then you’ll be in a good position to properly pay yourself – and use excess cash to strengthen and grow your business. Access to cash will make or break your business. The key step to managing cash flow is to build a cash reserve. A cash reserve provides the cushion you need to manage unexpected events. It also gives you the confidence and finances you need to grow your business. For example, you may have the opportunity to buy out a competitor, or take on a large order or new client. With a cash reserve, you can quickly take advantage of such events. If you’d like any help or want to talk about managing cash flow in more detail, contact us. This entry was posted in Bookkeeping, Bookkeeping Services, Cashflow. Bookmark the permalink.